Big-city life takes a backseat in the ‘Green Mountain State,’ which certainly lives up to its nickname. 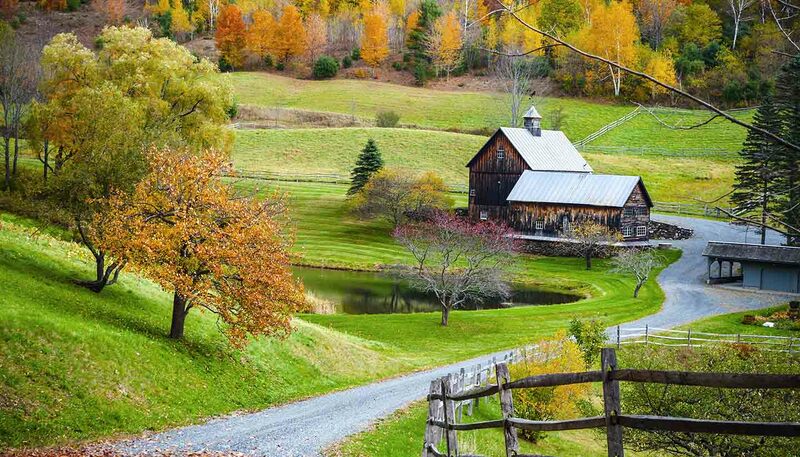 But it’s not all verdant peaks: Vermont boasts shimmering lakes, scenic road trips and action aplenty. Yes, it’s the only New England state without a coastline, but Lake Champlain certainly makes up for it. On its shore sits Burlington, Vermont’s largest city, which is more of a town really. It’s one of those places everyone wants to move to, humming with creative entrepreneurs who take their dogs to work and clock off early to kayak, bike or catch the last chairlift. Part of the fun of Vermont is hitting the road and seeing where you end up. The state is famous for its vivid autumn foliage, white clapboard villages and rickety wooden bridges. Alternatively, leave the car behind and hike a section of the Appalachian Trail or trek the 438km (272mile) Long Trail, the USA's oldest long-distance hiking trail, which links Massachusetts with the Canadian border. In winter, ski a terrific line-up of downhill and cross-country areas in the Green Mountains. World-class resort Killington switches to mountain biking when the snow melts, while Stowe is home to the Trapp Family Lodge. Yes, as in the von Trapp family. As in ‘the hills are alive’. The lodge is still run by Maria’s youngest son. All that activity surely justifies foodie indulgence. 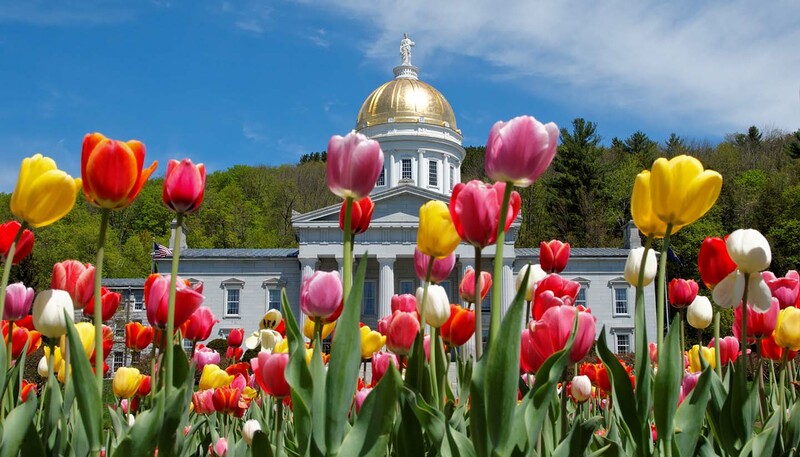 Vermont produces more than 40% of the country’s maple syrup, so pour copious amounts on a pile of pancakes, along with an oversized dollop of Ben and Jerry’s ice cream, a Vermont staple. 24,900 sq km (9,614 sq miles).